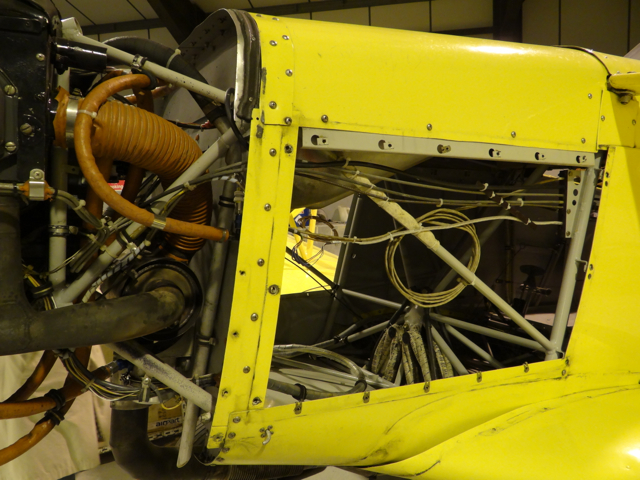 Last week we were lucky enough to have a tour of the engineering hanger at the Goodwood Airfield. 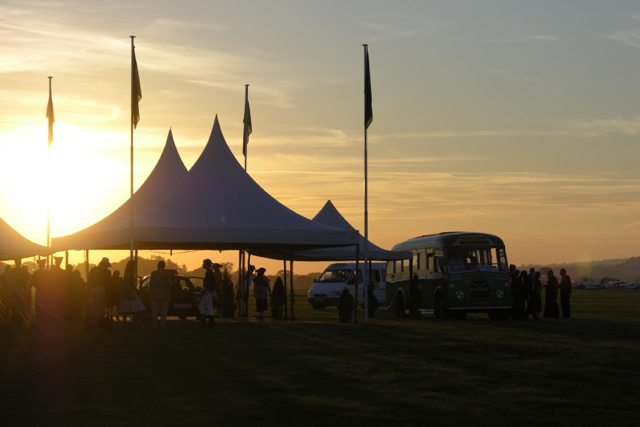 This trip was organised through Goodwood’s ‘416 Forum’. 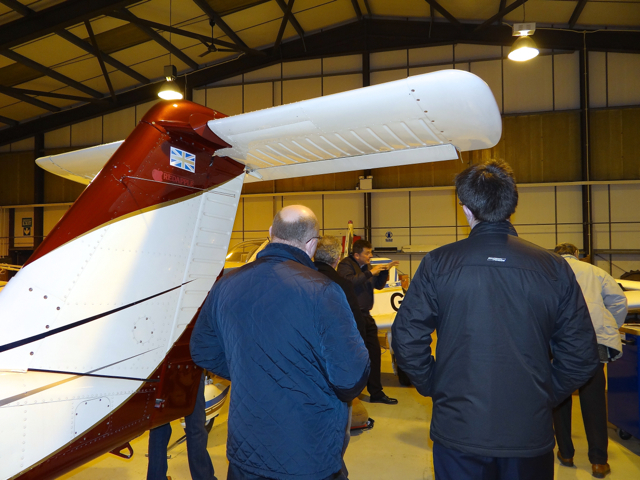 We met in the evening at the Aero Club where we were welcomed by Rob Wildboer the Goodwood aviation general manager – a man who lives and breathes aircraft. 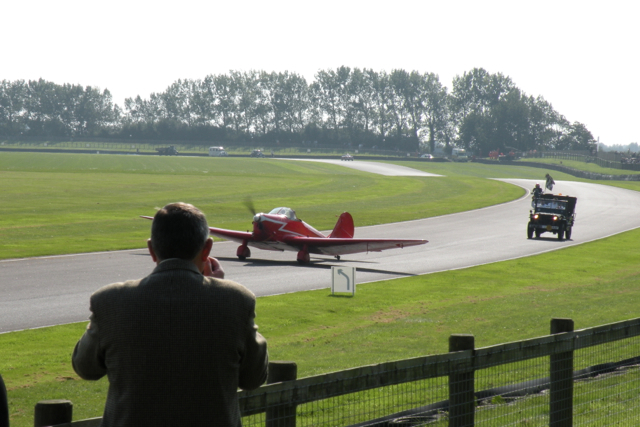 Rob’s introduction told us a lot about the fascinating history and general running of the Goodwood aerodrome. 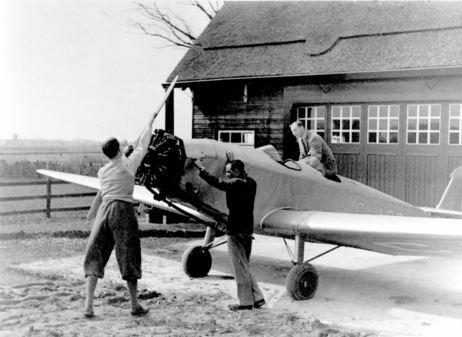 Freddie March, Grandfather of the present Lord March, had a great interesting planes and begun to design and build aeroplanes at Goodwood before the War from his ‘Flying Field’ adjacent to Goodwood House. 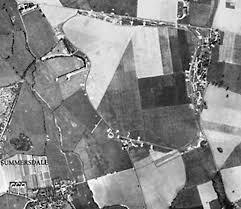 The actual aerodrome started during WW2 as RAF Westhampnett as a satellite to nearby RAF Tangmere. 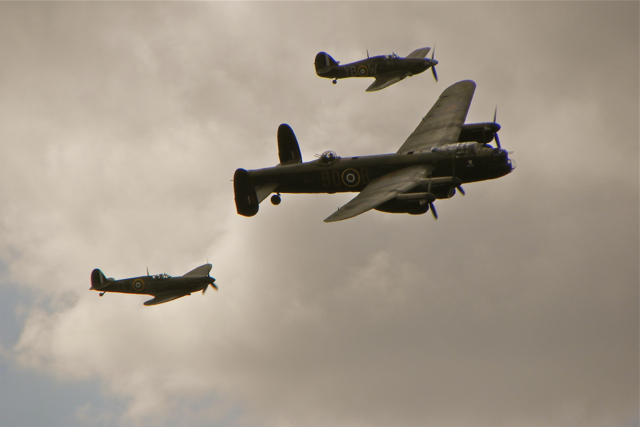 It was used during the Battle of Britain when two fighter squadrons were based there. 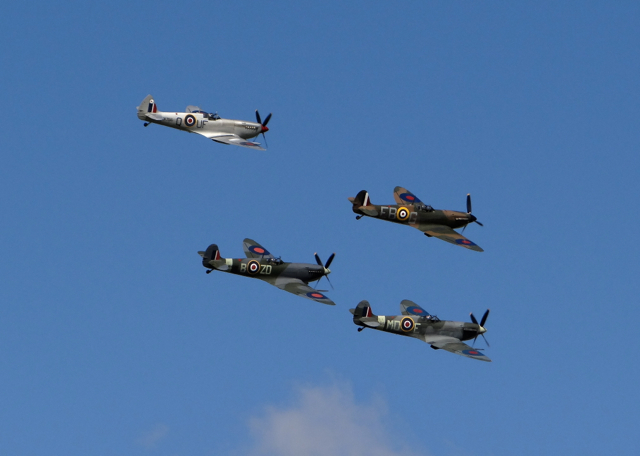 Flying aces such as Douglas Bader and Tony Gaze favoured Goodwood to fly from. 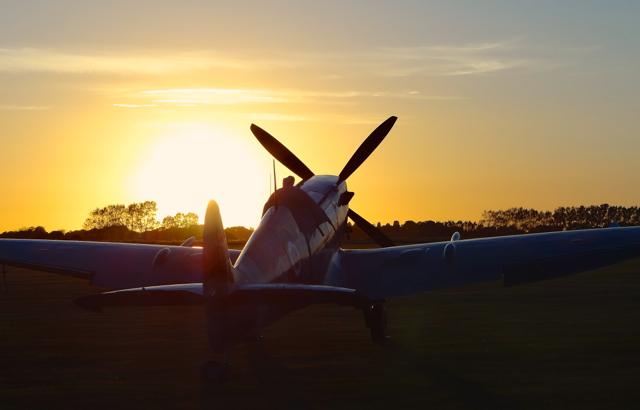 The Motor Circuit was created from the perimeter road in 1948 and since then the airfield has developed to provide first class engineering, flying training and aerodrome operations. 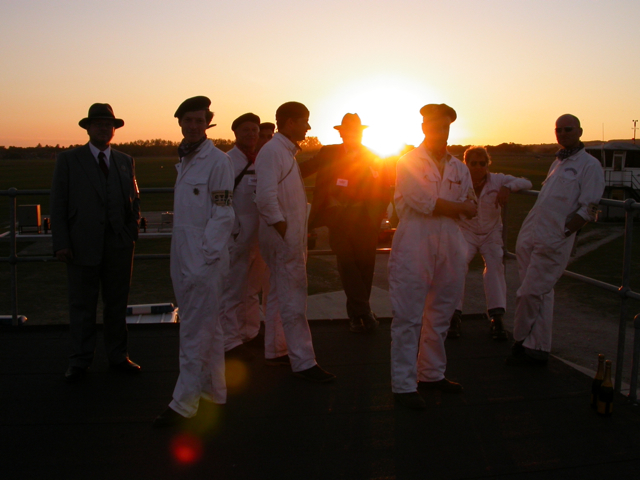 Rob joined Goodwood as an apprentice in 1986 and his worked his way up to run the whole operation, as such he is a mine of information and has endless interesting and amusing stories about flying at Goodwood. 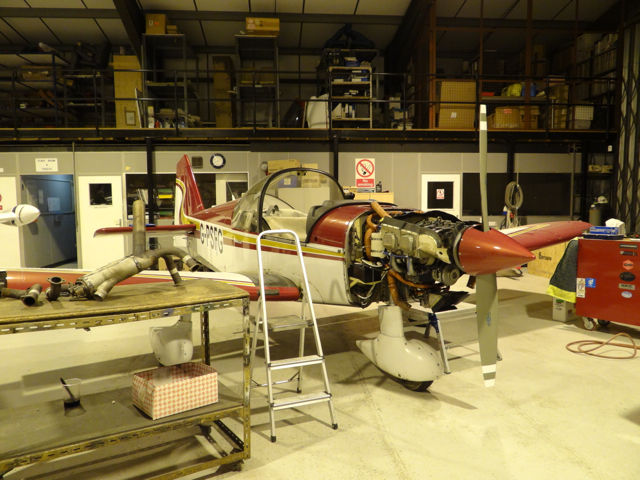 We then went to the engineering hanger where Goodwood has a thriving business maintaining a large number of private planes. 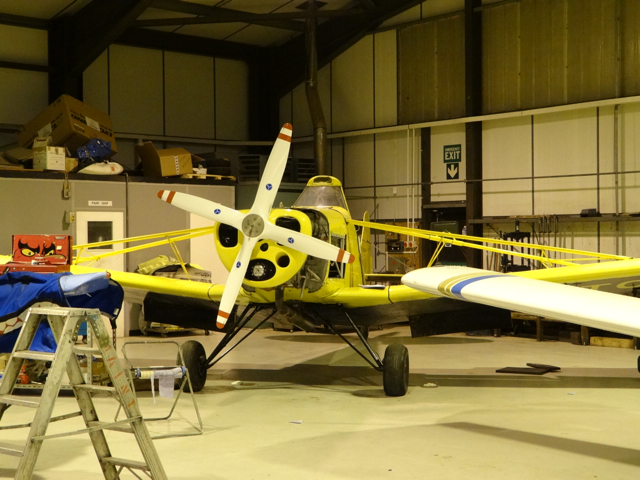 There were a number currently in the hanger and Rob gave us an insight on the sort of work that is done. 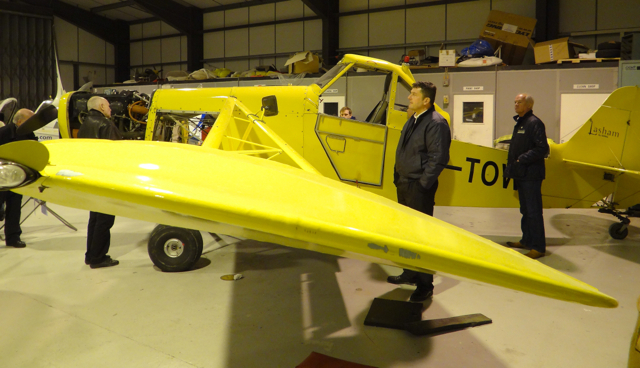 My favourite was a tow plane from Lasham Gliding School, very basic, I think Rob called it a ‘flying tractor’ it had real character and looked like it had come straight from a ‘Pixar movie’. Listening to Rob’s stories reminded me of one of the early Revivals when Mario was asked to work on the airfield. 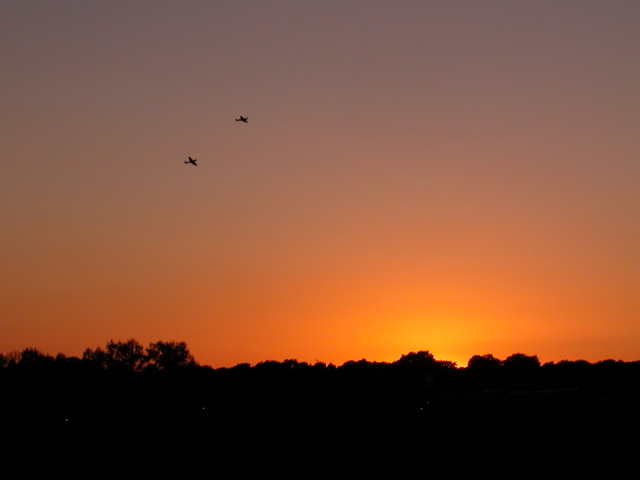 We had to collect passengers and take them to their planes. 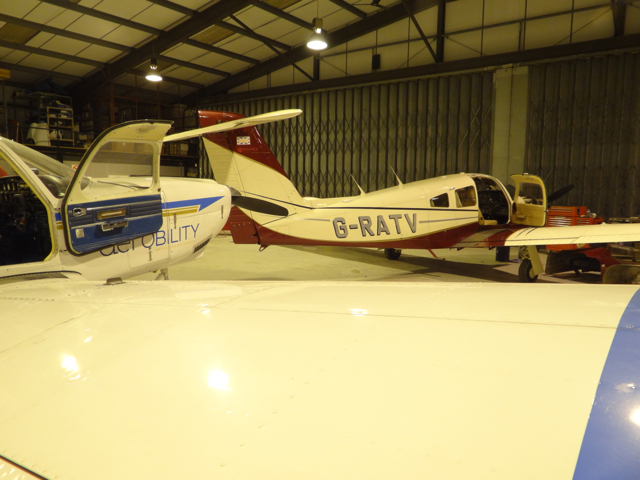 This wasn’t as simple as it sounds as we had to have CAA clearance to cross the runways and had to be escorted by an airfield Land Rover in constant contact with the control tower. 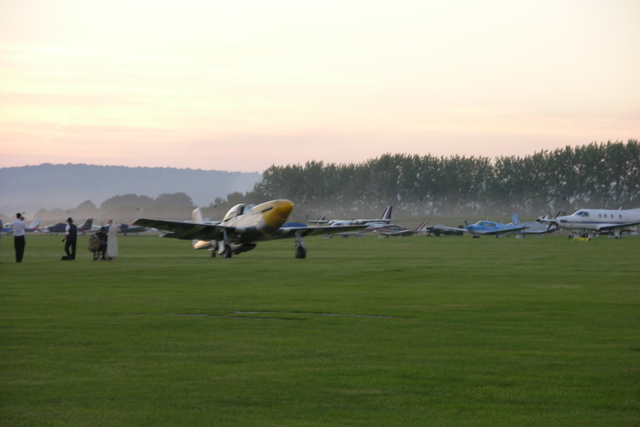 The aerodrome is always very busy over the event weekends and there are quite a number of small aircraft parked up but I was pretty amazed that people couldn’t remember where they had left their plane and Mario spent quite a lot of time running up and down the rows waiting for the passengers to ‘spot’ their aircraft, just like Sainsbury’s carpark! 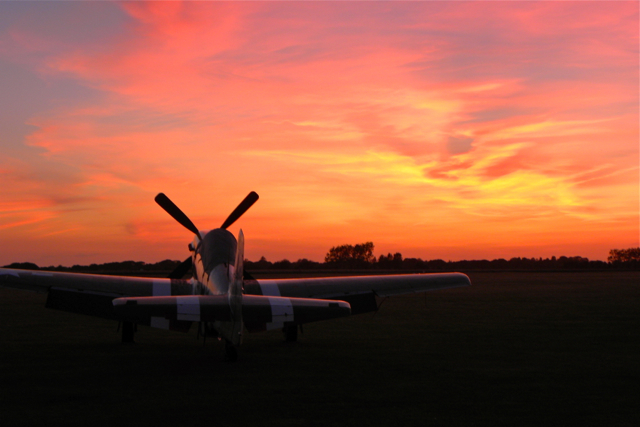 Around the same time some of the GRTC Taxi team were lucky enough to be able to watch the Saturday evening air display from the roof of one of the airfield buildings, this was spectacular watching the Spitfires and Mustangs flying in the sunset. 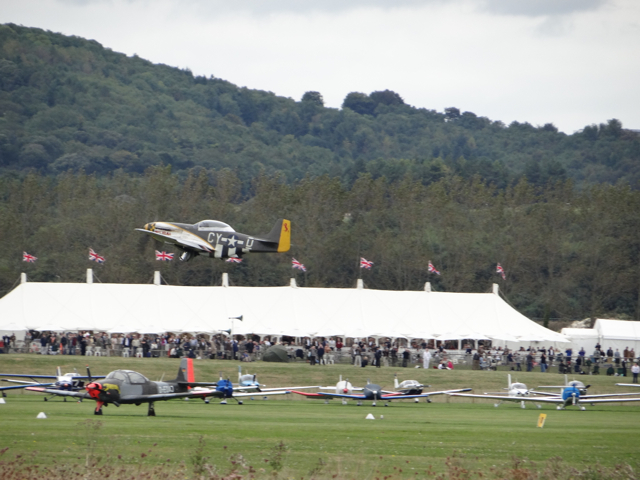 This display is the start of the Revival Ball and the aircraft come into land and taxi over to the hanger where the party guests, weather permitting, are outside at the reception. 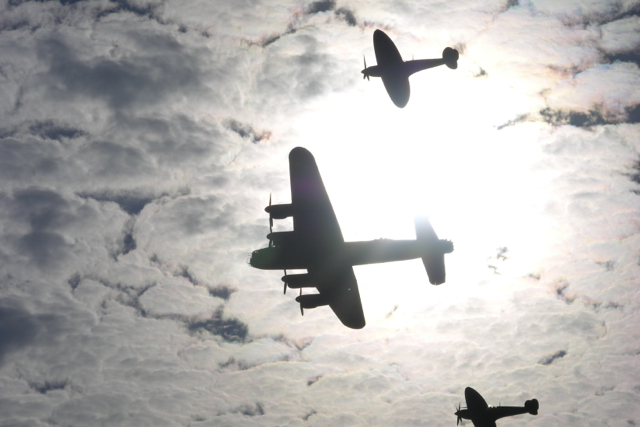 The pilots are dressed in black tie and silk scarfs and look brilliant as the descend from the cockpit to be greeted by a lady in evening dress offering champagne! 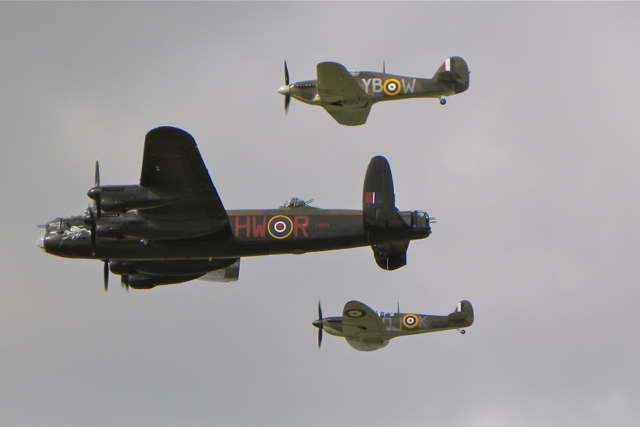 At one years party (when we were working) one of the pilots had forgotten their cufflinks and so had to fashion a pair with some spare nuts and bolts from a Spitfire, I’m sure it was a missed business opportunity. 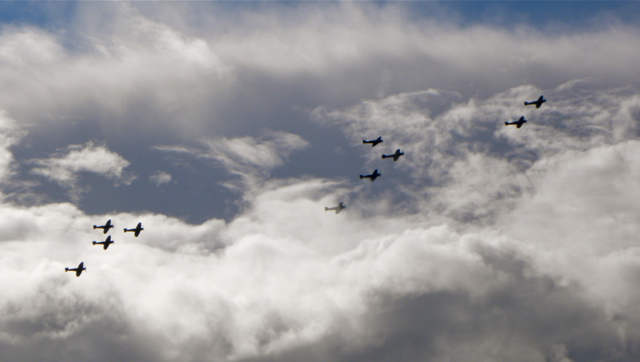 The air displays are always a big feature of the Revival and as Mario takes members of the press out around the circuit we often get a really good view of whats going on, the Battle of Britain Memorial Flight is always impressive but a couple of years ago the incredible sight of 10 Spitfires flying in formation was spine tingling. 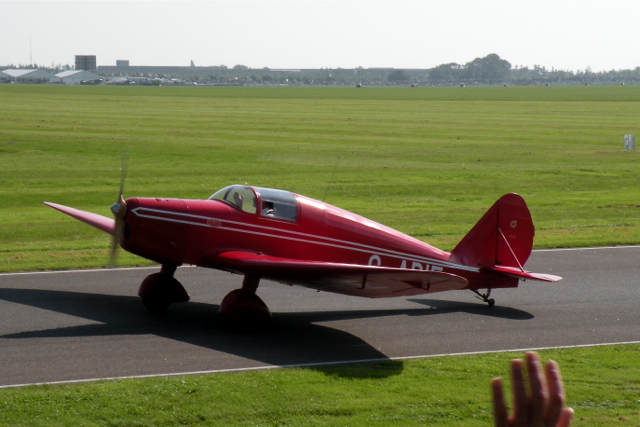 Planes at the Revival aren’t just restricted to the air… at one Revival a plane took part in the track parade and taxied a lap. 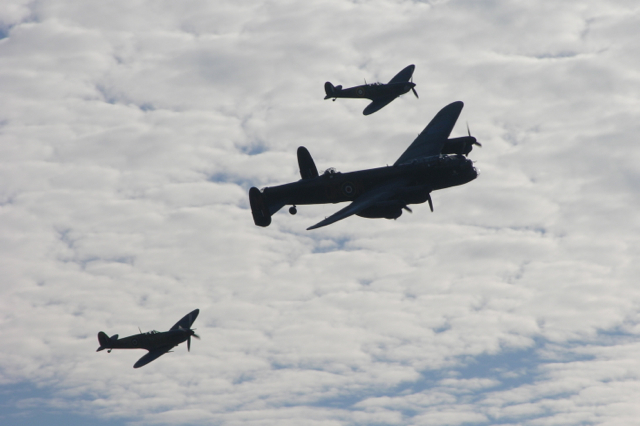 At the 2013 Revival on what was ‘Battle of Britain Sunday’, Goodwood honoured the ‘Dambusters’ on their 70th anniversary. 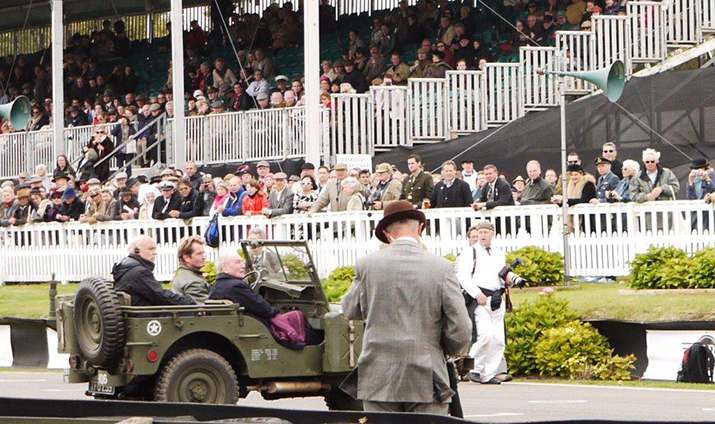 Earlier in the day Mario had been called to carry a very special passenger Squadron Leader George ‘Johnny’ Johnson, at 91 the last surviving member of the Dambusters raid but although we met him, we were unable to drive to the infield and so alternative arrangements had to be made, a shame as it would have been a great honour for Mario to give him a ride, still, Rod one of the long standing GRTC drivers got the honour of driving him onto the grid for the tribute. 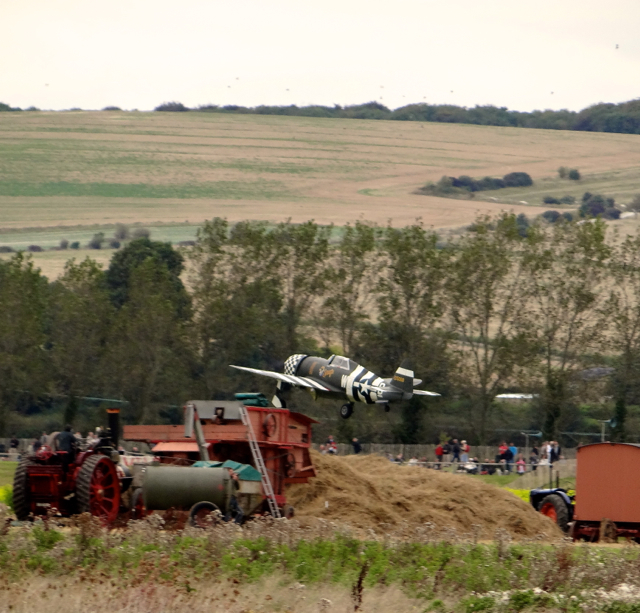 While Mario finds all the aviation at Goodwood exciting he intends to keep his four wheels firmly on the ground! 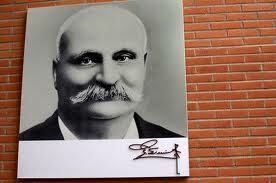 greatest ‘promotors’ Eugene Mercier. 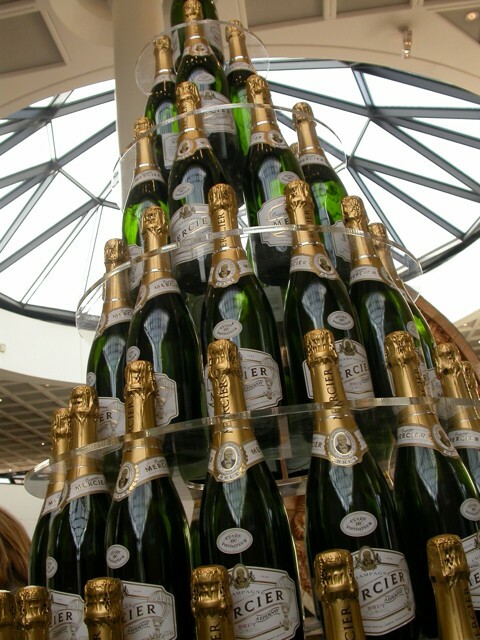 Only 20 years old when he founded his Champagne House in Epernay in 1858, he was very aware that a good product well promoted would sell and make money. 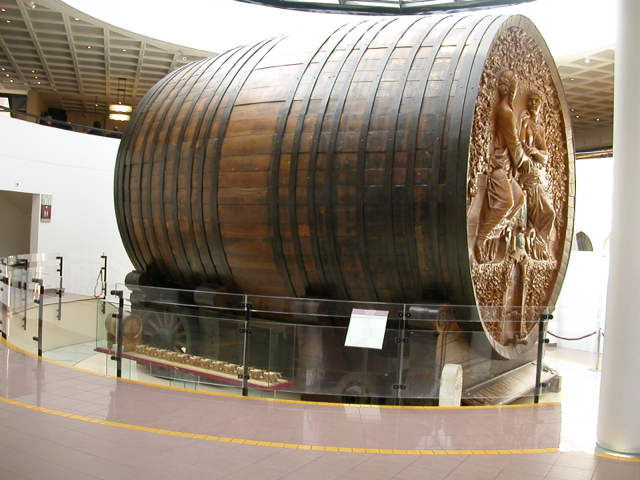 In 1889 he took a giant barrel containing 1600 hectolitres or around 200,000 bottle of champagne to Paris, to the World Exhibition. 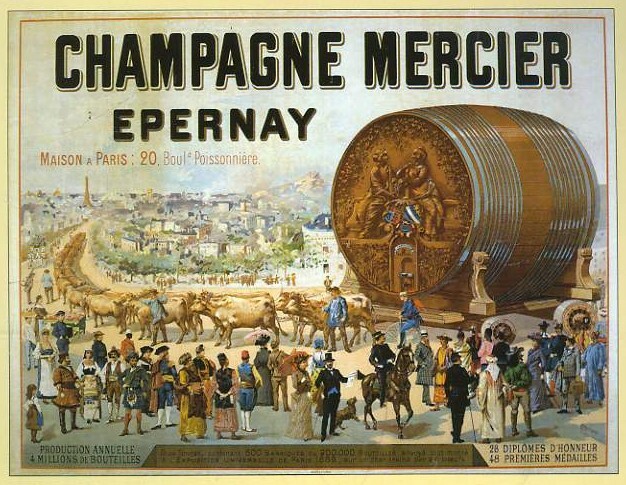 This 20 ton barrel – maybe the world’s first promotional vehicle – took 8 days, 12 pairs of oxen and 18 horses to make the journey from Epernay to Paris where it was received with great delight and was only overshadowed by the new Eiffel Tower. Eugene continued with marketing firsts with the first ‘movie’ advert at the 1900 World Exhibition, the first cellar tours and offering Champagne Balloon flights. 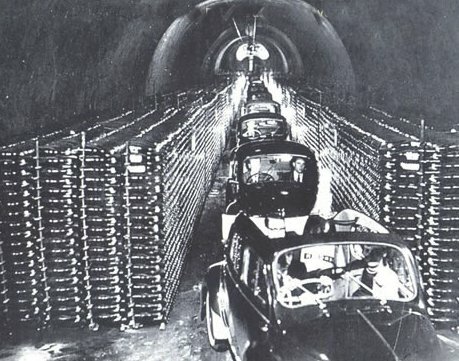 In 1950 his Grandson Jacques Mercier in partnership with Renault promoted both their products by organising a ‘Champagne Rally’ through the cellar tunnels in Renault 4cv’s loaded up with bottles of champagne. 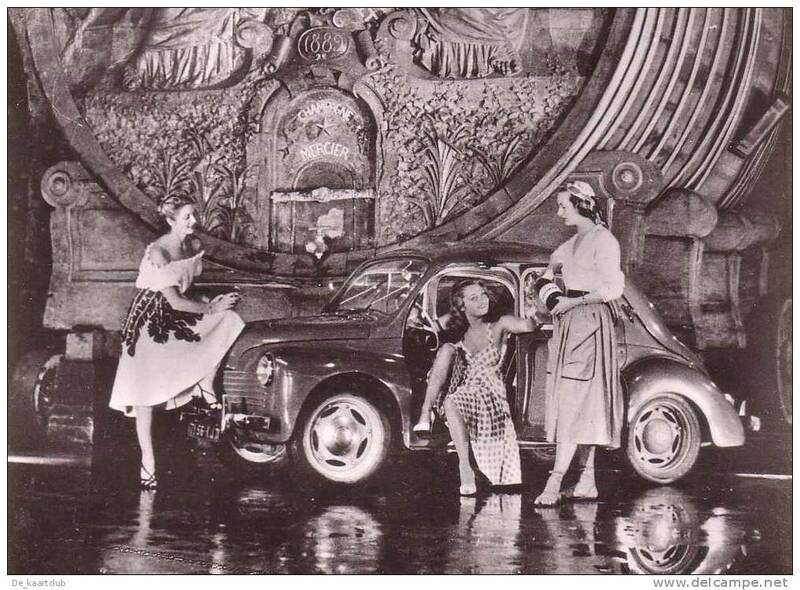 The front car in the pictures was a convertible with a huge bottle of Mercier on the back seat sticking out of the roof. The event created a great deal of interest and apparently not a single bottle got broken, although I imagine a fair few got consumed! 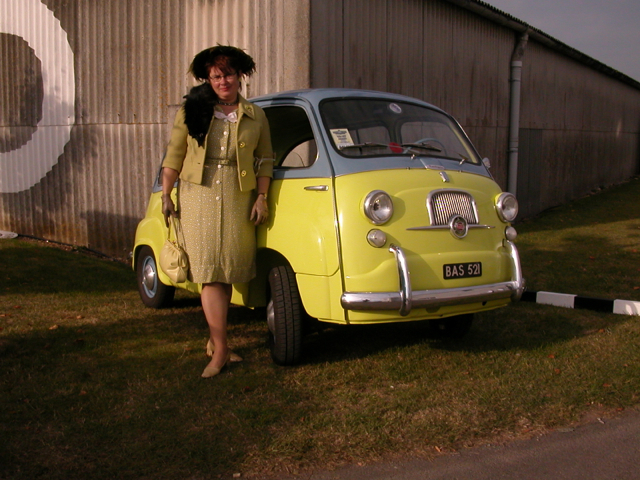 As well as appreciating classic cars I am also rather partial to a glass of bubbly so quite a few years ago we took ‘Regie’ our 4cv convertible to the Mercier cellars. If you get a chance to visit it is a really interesting tour, part of which is a journey through the cellars by train. 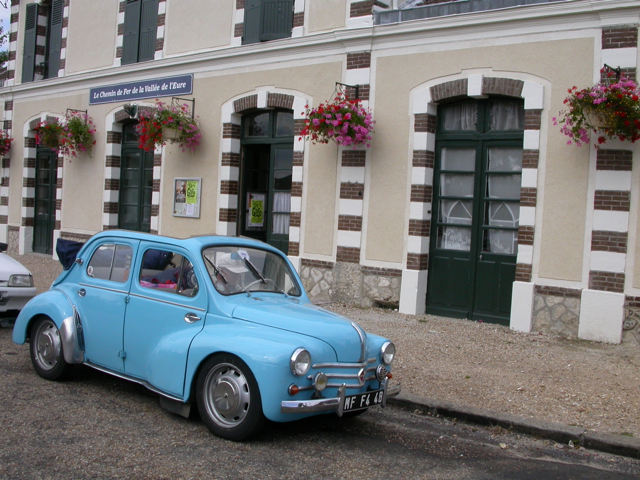 Mercier were delighted to see the 4cv there but unfortunately they wouldn’t let us drive Regie through the tunnels, although we did get to sample some Champagne and it remains one of my favourites, especially the ‘Eugene’s special blend’ which is supposed to taste the same as the original production.